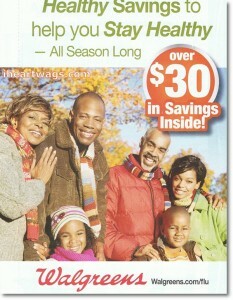 I know that some of you are having a horrible time finding the Walgreens Healthy Savings Booklet. I have a few extra and would love to give them away! The coupons expire December 31, so I want to get it out to the winners as quickly as I can. To enter this giveaway for a Healthy Savings Booklet stocked with Walgreens store coupons that can be stacked with manufacturer’s coupons, leave a comment with your email address. Comments will close and 4 winners randomly selected on Sunday, December 13 at 6 pm (Pacific). I cannot find this book at my walgreens, would love to win. Awesome giveaway!! Thanks!! I found out the activity book is located with the other coloring books near the children's toys. It disguises itself and just a 99cent Walgreens Brand Coloring Book! It happens to have coupons as well. Its a product mixed in with everything else, not just a coupon book. I thought it was some special issue item, but no! ps love the giveaway, new to couponing but loving this site! Very helpful! This is a contest I would like to win, as I have asked at a couple of walgreens about this, and no one seems to even have a clue what I'm asking about..Thanks! Please enter me into the giveaway! thanks! I would love this coupon book! Been looking for it with no luck!! Thank you for this chance for some awesome coupons! Oh me, Oh me. I went looking for this in my Walgreens the other day and could not find one. The employees were looking also. I totally need this! Great give away, I hope I am lucky! OOhh thanks. I would love to win. I would love this coupon book!! I have'nt been able to find these, so I would love one. Thanks for sharing. I have yet to brave Walgreen's territory, but am getting ready to try. This would be perfect timing!! I would love it, because I can't do most of the scenarios anymore! Thanks so much! I've been looking for this forever, so I'd love one! I have found one but can't seem to find anymore of them. I would love to have this coupon book. Thanks! Nice giveaway! I don't have problems finding this coupon book, but I have never seen the activity book with coupons. Do you think you could post a picture of it just so I know what I'm looking for? The employees were clueless when I asked about it.